Serving the Greater Chicago area . . .
Over 175 events of experience. Tons of 5-star reviews. Winner of The Knot Best of Weddings 2017, 2018, 2019. Winner of the WeddingWire Couples' Choice Awards 2015, 2017, 2018. See what your Chicago-area event can be like when your DJ experience is truly unlimited. 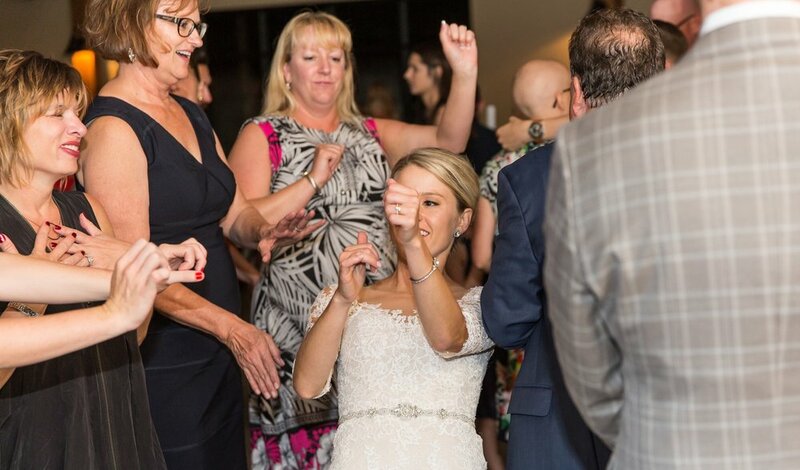 Any kind of music you want, no limiting packages or hidden fees, and with as many consultations as you need--an all-in-one Chicago DJ devoted to making your event the talk of the season (the good kind of talk). And that's just the beginning. How about no stress too? Planning a wedding or event is stressful enough, so why worry that the DJ is going to ruin the party? Instead, get a music playlist that reflects you and your event's personality and a Chicago DJ intent on keeping the focus on you and your guests. 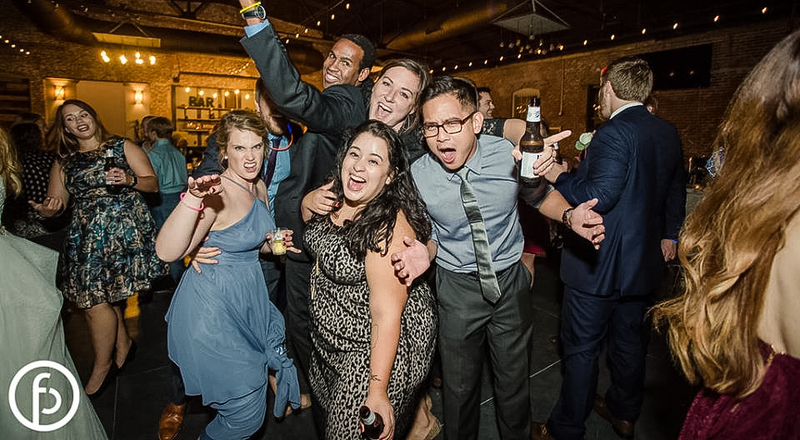 Get what clients say, "gave us exactly what we wanted," "made our event stress free," and "The overall response to our reception was 'you guys know how to throw one heck of a party!' "
Group photo courtesy of Freeland Photography. Bouquet catch photo and black and white photo near the bottom courtesy of Melissa Lin Ellis Photography. 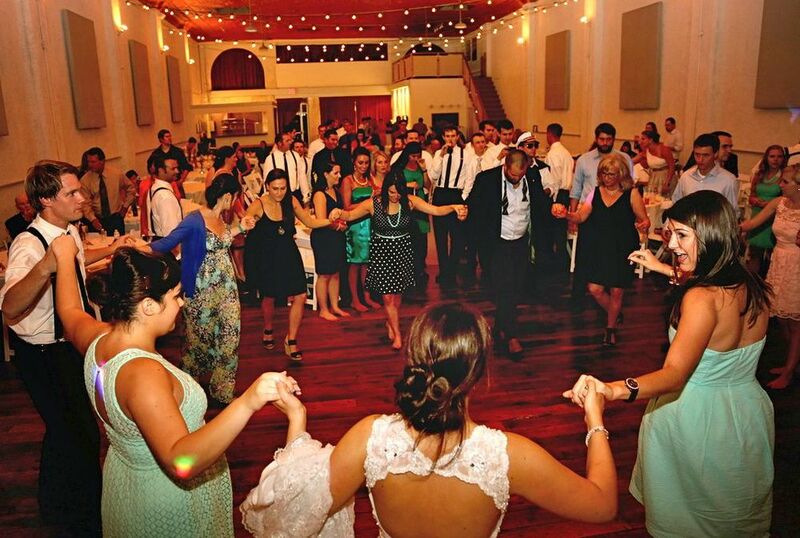 Photo of garter toss courtesy of Oh Snap! Photography. 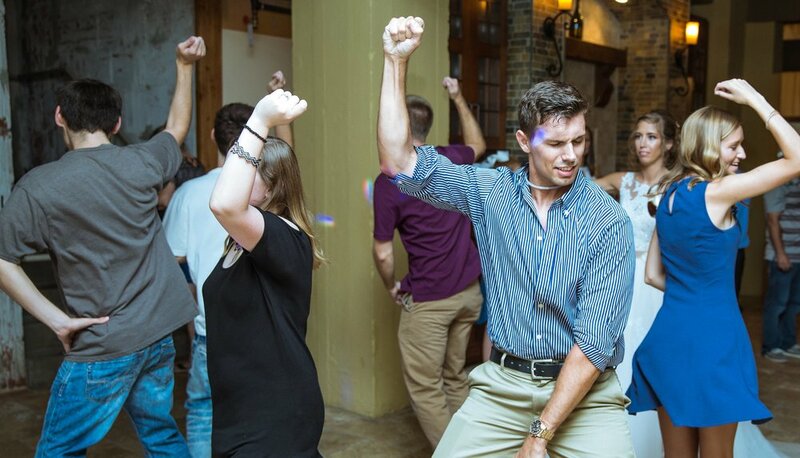 Man looking at the camera, while dancing, photo courtesy of Love Bird Photo. 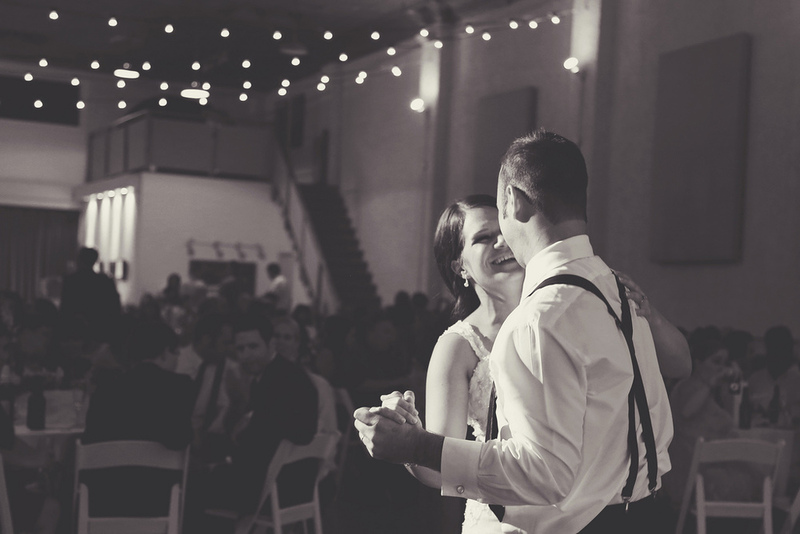 Greek dance and black and white photo of couple dancing courtesy of A. Leigh Photography. Man in maroon shirt dancing photo courtesy of Katherine H.